Gene-Edited Babies Claim Sparks New Questions About Safety : Shots - Health News Concerns over a Chinese scientist's claim that he created the first gene-edited babies grow with more questions about whether it worked and the possible harm he may have inflicted on the twin girls. There has been a backlash since Chinese scientist He Jiankui's claim that he edited genes in embryos that became twin girls. Ever since a Chinese scientist rocked the world by claiming he had created gene-edited twin girls, international outrage has only intensified. "Everything that's emerged over the last week only adds to the concern about this having been a deeply unfortunate, misguided misadventure of the most dramatic sort," says Francis Collins, director of the U.S. National Institutes of Health. "It was shocking at the time. A week later, it's still shocking." As researchers have scrutinized the scant details made public by the scientist, He Jiankui of the Southern University of Science and Technology in Shenzhen, China, it has become clear that He actually missed precisely editing his genetic target. He tried to make a change in a gene that would protect the girls from HIV. But, at best, he may have protected only one twin from HIV, inadvertently making her genes ostensibly superior to her sister. It's also possible the genetic changes he made may not have protected either twin at all. Perhaps more worrisome, his attempt to use the powerful gene-editing tool CRISPR appeared to create unintended mutations in their DNA that could harm their health. "I hope these two little girls are OK," Collins says. "No matter how unfortunate and inappropriate it was for this to happen, we would all hope that there would be no bad consequences for them. At this present time, it's hard to know." It has become clearer He violated many of the rules on experimenting on people. It's far from clear He made sure parents of the girls really understood what he was doing to the embryos. And He says he participated in obtaining consent to do the experiment from the parents himself. That participation by the researcher is considered off-limits in biomedical research. The Chinese scientist also suggested to the parents that the study was testing an AIDS vaccine. "Everything that one would have hoped would have been paid attention to in this situation seems to have been ignored, or trod on top of," Collins says. "It was wrong in every way." He claims that he had also started at least one other pregnancy with a gene-edited baby that was at a very early stage. It's unclear what has happened to that pregnancy. While He may have kept his experiment secret from Chinese authorities, it has become clear that he had been talking about his plans to a number of scientists in the United States for some time. At least two scientists in California apparently knew what He was planning, including Mark DeWitt of the University of California, Berkeley. Michael Deem, a professor of biochemical and genetic engineering physics and astronomy at Rice University reportedly was present when He recruited couples for his experiment. Deem's university is investigating. "If there were people who knew that he was crossing this boundary and didn't speak up and didn't bring it to the attention of other authorities that's regrettable," NIH's Collins says. Matthew Porteus, a professor of pediatrics at Stanford University in Palo Alto, Calif., says He admitted his plan to him in February. He Jiankui had studied at Stanford. "At that point, I really became quite angry," Porteus says. "And told him in no certain terms about all the reasons he should not do this." "I mistakenly assumed that the person on the other side of the table would respect my very strong opinions about the recklessness of what he was proposing to do. And that would be enough to stop him," Porteus says. "Obviously it was not." Porteus says he now wishes he'd reported He to Chinese authorities, and hopes he receives appropriate punishment. One of Porteus' colleagues, William Hurlbut, says he came to like the young scientist in a series of long conversations over the past year. But by October, Hurlbut, too, became alarmed. "I really admonished him not to do this kind of stuff, and am sad that it happened this way. I think it's tragic," Hurlbut says. "I think he's hurt himself, his career. And I think he's endangered human patients. And I think he's set science back." And Hurlbut, who's a physician and a bioethicist, says that's not the only reason he's appalled that He rushed ahead. "We're the first species, and this is the first moment, basically, when we're capable of altering human genetics so that we can take hold and perhaps guide the future of human evolution at some level," Hurlbut says. "That's a very significant moment not just in the human story but in the whole history of life." Some scientists say they wish that the organizers of the Second International Summit on Human Genome Editing held in Hong Kong, which coincided with He's disclosure in late November, had taken a stronger stand. The summit organizers condemned He's creation of gene-edited embryos that became babies. But they rejected calls for a moratorium on gene-edited babies. Instead, the organizers endorsed making plans for how scientists might someday safely and responsibly create more gene-edited babies to prevent terrible diseases. "To suggest that it's only a matter of time before we do decide to do this steps over a really significant public discussion," Collins says. "There's still some possibility — I think a significant possibility — that that debate will lead to the conclusion for the foreseeable future that this is a line we should not cross." The summit organizers defend their position. "Our summit statement didn't demand that this technology be made available to people. It simply laid out a pathway to responsible development for those jurisdictions that allow this to go forward," says R. Alta Charo, a professor of law and bioethics at the University of Wisconsin, who helped organize the summit. But that didn't go far enough for some scientists. "I would have been more reassured if they had actually come right out and said we really need a moratorium on this, at least for a few years," says Paul Knoepfler, a professor of cell biology and human anatomy at the University of California, Davis. "I was disappointed they weren't stronger." Stanford bioethicist Hank Greely also called the summit's conclusion a "tone-deaf message." The World Health Organization is forming a task force to try to develop international rules on gene editing. But many scientists argue that there may be no way to prevent some other rogue scientist somewhere from trying to make more gene-edited babies too soon. 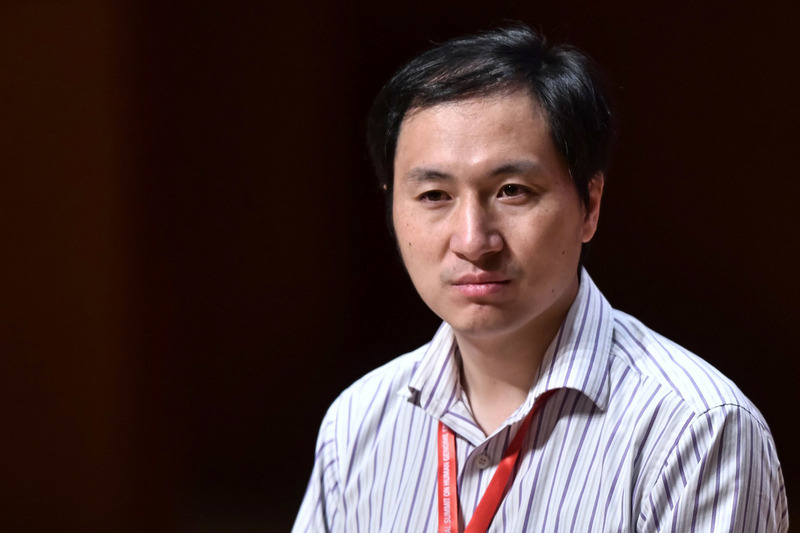 In the meantime, Chinese authorities are trying to decide what should happen to the first scientist to claim he created the world's first gene-edited humans. Although there have been reports He had been detained, his university has denied that.